Quik Trak® installation tool kits feature an auto-feed screw system for labor-saving speed on Quik Trak® installations. The easy-to-use screw gun is lightweight and the extension arm reduces fatigue. 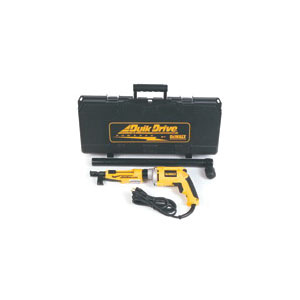 The kit includes a 120VAC screw gun with vertical extension arm, square-head drive screw bits, bit-retrieval tool and hard-sided case.